I’m sure we have all started a new web project and then needed to add authentication at a later point. 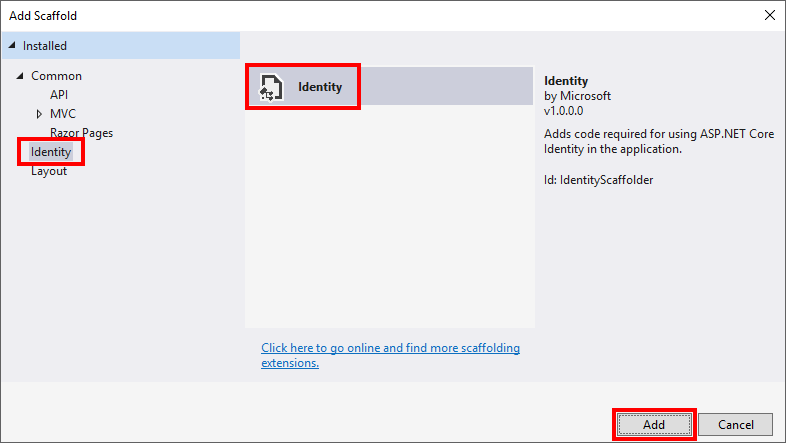 This post is going to cover this process use the Identity Scaffolding feature available in Visual Studio. For this example, I’m starting with a new web app created using the following command. If you have any of the .NET Core 3 previews installed I recommend adding a global.json file in the directory where the application is to be created before running the application creation. I had some issues with the scaffolding in the current preview. The following is the contents of my global.json for an example. 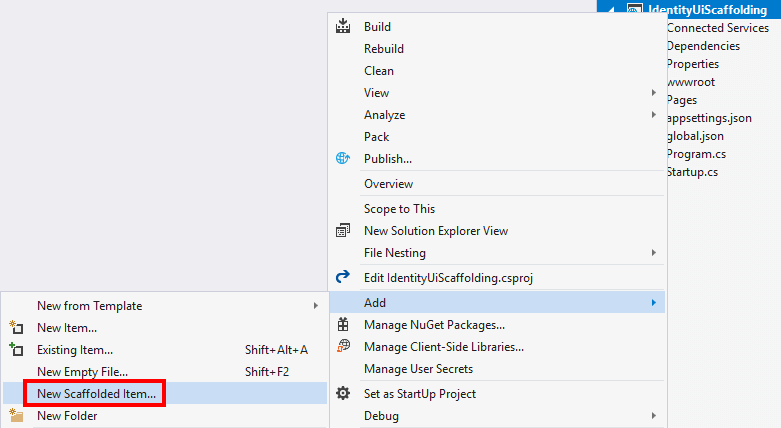 In Visual Studio right-click on the project and select Add > New Scaffolded Item. On the Add Scaffold dialog in the left list select Identity in the middle area we want the Identity item and then click the Add button. 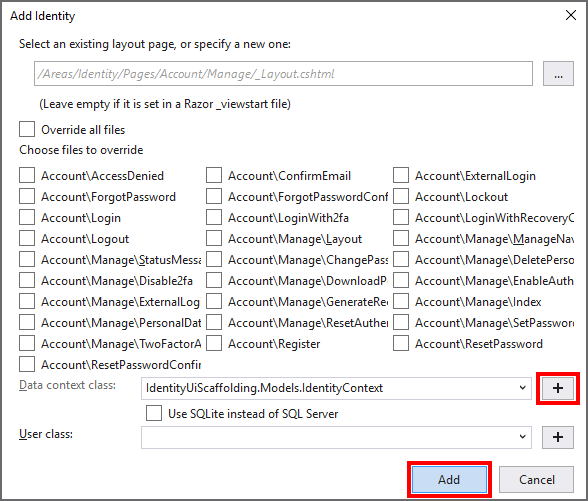 Next, on the Add Identity dialog, you get a chance to pick which parts of the provided identity you want to override. I’m going to take the default for all the values. The one exception is the Data context class which I’m using the plus button to the right of the field to add a new one since this project doesn’t currently have any data access in it. When done click the Add button. After a minute or so identity generation will be complete and a text file will so with some follow up steps. Because of the project type, we started with the only one we need to do anything with is the entity framework migrations. The following are the instructions from the file that will get your database to create/updated with the new data needed to support ASP.NET Core’s Identity. Finally, in the Pages/Shared directory open the _Layout.cshtml file and add the following to where you want to show the Register and Login links. I added this right after the existing navigation links. This is a very handle bit of functionality that makes it easy to add Identity for an existing project. You will still be missing some of the nice things provided by creating a project with Identity from the start such as displaying a welcome message with the user’s name, but those bits can be added if it is something you want. The official docs on this topic cover way more scenarios that this post.